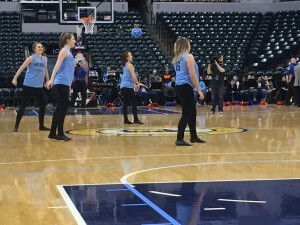 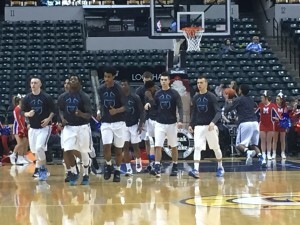 The Perry Meridian Falcons played on the BIG stage Saturday; Bankers Life Fieldhouse. 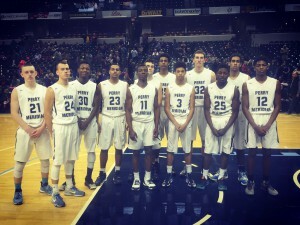 They outscored Martinsville in the first and fourth quarters but came up short in the end, 74-61. 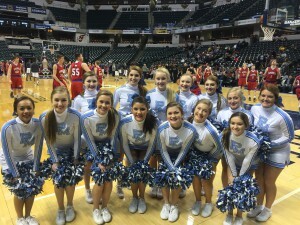 Included are pictures of the team, cheerleaders and band members, dancers and 7th and 8th grade team members, as well as a few statistics. 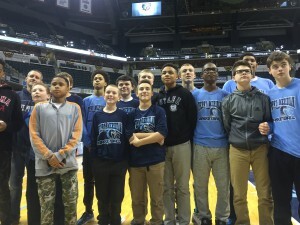 Perry Meridian (8-12) — Dusty Baird 1 1-2 3, T.J. Comer 3 6-8 15, Jackson Gambrall 1 1-1 3, David Jackson 1 0-0 2, Nate Mills 5 11-14 21, Gabe Patterson 2 1-3 14, Brandon Perry 0 0-0 3.